Established in 2010, the Trinity Church garden is located on the east side of the church office complex, just behind the tree line, running parallel to Crosby/Lynchburg road. The “garden plot,” that is, the area where vegetables are actually grown, comprises about 3000 sq. ft. of the church property. The Church garden exists for one reason: Outreach! The garden is just one of the many ways Trinity reaches out to its neighbors. Jesus reminds us to feed those in need in Matthew’s gospel: “For I was hungry and you gave me something to eat…” (Matt. 25:35). 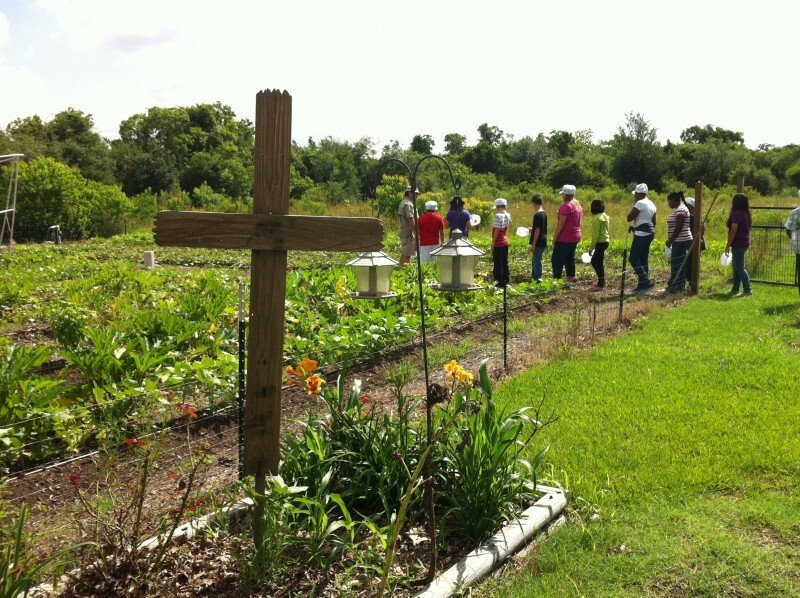 The Church garden reaches out to Trinity’s hungry neighbors with fresh, nutritious food. To those living in shelters, those families known to the church to be in need, and to anyone needing nourishment to continue on in their walk to Jerusalem, the Church garden is there to provide God’s people with fuel for their journey: Food fuel! Hunger is a devastating state, a state of being that no person should ever have to endure, especially those living in a modern, civilized society; but hunger does exist; not only in the remote parts of the world, but right here in Baytown. The Trinity Church garden and its volunteers strive towards the goal of eliminating hunger in the Baytown area. By providing food to homeless shelters and food banks, and to those who come to us in need, the Church garden seeks to fulfill the command given us by The Lord Jesus Christ to feed the hungry. If you have an interest in volunteering for work in the garden, or know of a person/family in need of food, please let us know. You may contact Robert Horton, or any Trinity staff member at (281) 421-0090, or Robert@trinitybaytown.org.